Despite having too many defeats, Roger Huerta will continue his MMA career after five months or reflecting on his career. After five months of traveling from different places in Asia to reflect on his life and MMA career, Roger Huerta is back and asking every promotion for any possible fight this summer. The former UFC lightweight fighter was signed out by Bellator recently, and his team headed by Jeff Clark is now working to seek him a fight into any promotion. Roger Huerta’s last bout was a defeat against Eddie Alvarez by TKO in Bellator 33 last October. This tough loss made the former get a break and evaluate his MMA career. He went to Thailand, Southeast Asia and Australia to find the answer that he is looking for. Roger Huerta wondered what he really wanted to do, what is the best thing to do in fighting and what are the reason why he incurred many defeats. He insisted that he just want to reevaluate a couple of things and have a chance to. The MMA fighter also mentioned that he is not planning to retire yet. 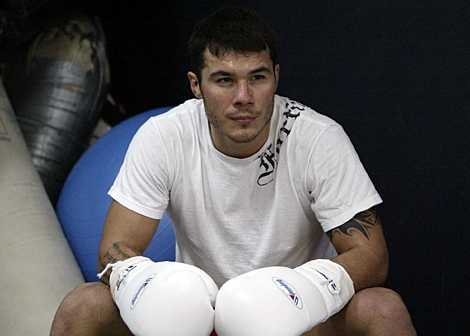 Will a good fortune come in Roger Huerta’s way after his repose?